A second picture of the same woman explains that after her mother committed suicide when she was ten, she and here brother were placed in the foster care system. I don't know this young woman, but I found her story a poignant example of both the struggles of young people who grow up in the foster care system, and an example of how we need a social safety net. It also illustrates the gaps in the "self-made" person mythos we have in America. The myth we have is that people in America can get by without any help from the government, rise out of poverty, pull themselves up by their bootstraps, and emerge successful. Republican politicians, in particular, are quick to deride "government handouts" and the people who take them. So, for example, you have Mitt Romney talking about the 47% percent, or saying, "But I hope people understand this, your friends who like Obamacare, you remind them of this, if they want more stuff from government tell them to go vote for the other guy-more free stuff." Or Ronald Reagan: "Will you resist the temptation to get a government handout for your community?" The thing is, our social safety net is there because some people need it. I think about my own family, where my parents had three daughters, and each of us are working professionals, living in our own homes. And each of us at some earlier point in life moved in with our parents. None of us took a "government handout" but each of us faced a point in our life when we needed a safety net. And we had a safety net, in the form of parents who were willing and able to take us in. For me, I needed that safety net at two points in my life. The first was after college when I was living on my own, working temp work (working for a health care industry, actually), and had an accident and broke my back. I needed to rest horizontally for several weeks while my vertebra healed, and I was jobless and, very quickly after, homeless. So I went to live with my parents, who took me in and fed me and sheltered me, until I was able to work, and even after I was working so that I could pay off my medical bills. The second period was during my first year out of seminary. I went through a negotiated resignation with a congregation that had over-stretched financially. Out of work, with a severance that was equal to three months during a time period that would stretch to eight months until the next church job could begin, my husband and I moved in with his mother while I searched for, and eventually found part-time work. When I hear stories of people struggling -- utilities turned off, evicted, unable to get back on their own two feet -- I remember that much of America, nearly half, is one emergency away from financial disaster. Many are one or two paychecks away from homelessness. I often think I am myself only one or two emergencies away from financial disaster. I get by from paycheck to paycheck, but throw two totaled vehicles my way, and it takes me a few months to recover. I'm fortunate -- we have family and friends able and willing to help. I'm a minister in a denomination that has some funds for ministers in financial crisis, and knowing that is a piece of sanity, a certain knowledge that there's a safety net there for me. I'm also insured, which means there's a cap to the financial trouble that health problems can bring me. Not everyone has these safety nets. Many people have only the knowledge of a family member's open door. Some people don't have even that. Many of the blog comments on this young woman's picture suggested that they were proud of her -- "you did it!" "you can do it!" And they miss the point. When you don't have the safety net, there is a fear there. She's not speaking of pride her accomplishments, but talking honestly about that fear. "I’m always fearful because I don’t have a safety net. I feel like I’m walking on a tightrope with nothing to catch me if I fall." Imagine, if you don't feel this way, what it feels like to feel this all the time. Imagine. Because with that understanding, with that imagining, compassion begins. 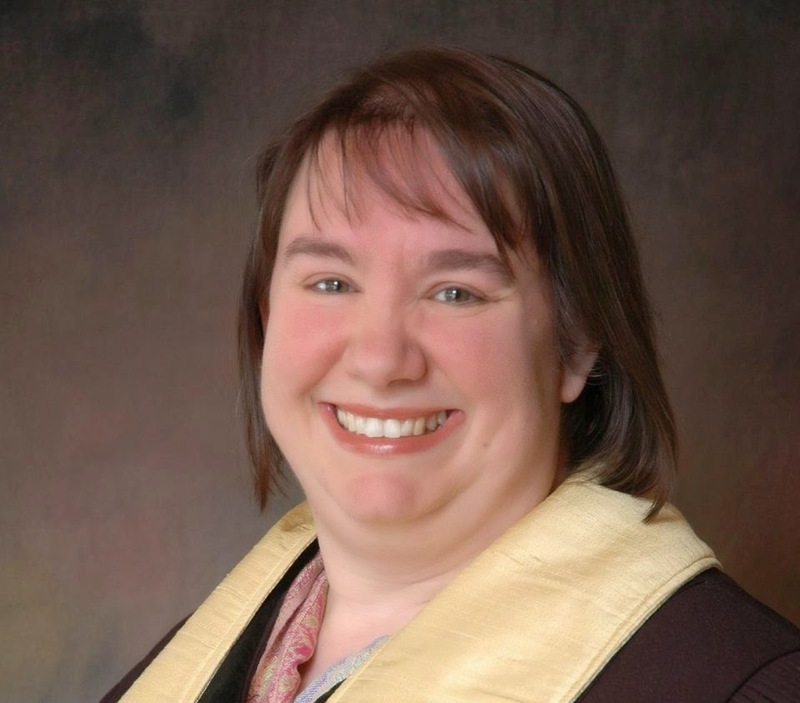 This post is by Cynthia Landrum, minister of the Universalist Unitarian Church of East Liberty. Her own blog is Rev. Cyn and she also blogs regularly for Loved for Who You Are. Excellent reflections as always, Cyndi. One of the issues that gets lost in the culture of our congregations is that not every situation is a meritocracy, and that we often can't simply overcome our circumstances by force of will. I believe that this is why we are not always perceived as welcoming by people who don't feel like they have their act together at all times. I really appreciate this. Nicely presented and such a pressing issue that I think we are nearly at the point where ignoring this one wont be possible any longer. As someone living in such economic level critical status I am so afraid that the solutions will always be like the hardest hit funds and bank bailouts and community revitalizing programs. None of them has helped more than a handful of people who lost their homes or where at risk to. They are administered and compliance monitored by the institutions that created the crisis. Any money that is actually being spent is almost exclusively for the infrastructure for processing refinancing requests etc.- to prime local civil works and land allocation type dealings- and money that insures savings and aid for developers and those in housing industry and of course bank bail outs. If letting businesses retain their capital and lower cost to revenue why wouldn't it make sense that providing individuals these opportunities directly would help more. We are reaching the point where we have so reaffirmed the legal person hood of businesses individuals like myself will start seeking the opportunity to be classified as a business so we can be persons too.